Incredible Video Interview With Tattoo Historian C.W.Eldridge! 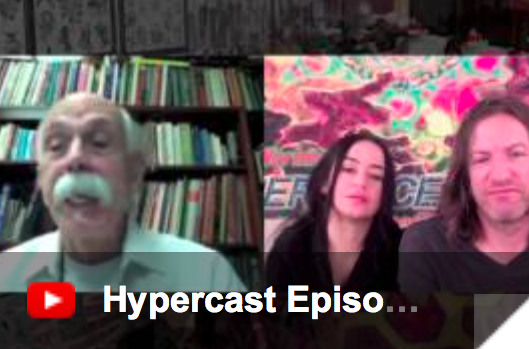 Some of you may remember the epic long-format Hypercast interviews that Michele and I conducted with a number of significant art and tattoo personalities over the past couple years. Some of these can be viewed at our YouTube channel, TattooTelevision, where you can enjoy in-depth conversations with a number of artists on a variety of topics. One of our all-time favorite programs has been the historical one- Hypercast 7: Tattooing Past, Present and Future, with tattoo historian C.W. Eldridge, along with seasoned tattoo convention emcee Chris Longo and cutting-edge UK tattoo artist Bez. It took a while for me to finish the post-production, which involved adding the tons of amazing historical images provided by Mr. Eldridge from his vast library that he keeps at his museum, the Tattoo Archive in North Carolina. 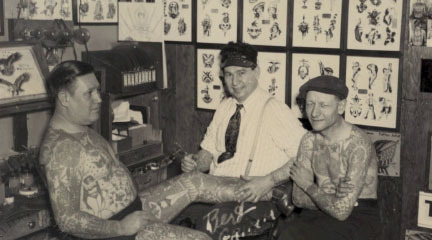 So it's now posted, and we want to invite you all to check it out- this one is a ton of fun, and includes a bit of time spent talking about a period in tattoo history that many of us are almost totally unfamiliar with, starting around the time the electric tattoo machine was introduced and moving forward through the war years into the 1960s and 70s, where the conversation moves to contemporary tattoo events and finally to modern and even futuristic ideas. It's a great program, with fun enlightening conversation and a wealth of images from the past, present and future of tattooing. It's free to watch at our YouTube channel, along with a ton of other video material that we've made over the years. As long as we're talking about the classic roots of tattooing, I wanted to mention two great tutorials that we carry at the Tattoo Education online store which touch on the time-honored tradition of watercolor techniques, which have been used in tattoo flash design for over a century. We've got Myke Chambers' Watercolor 101, which simplifies the entire watercolor medium into something that can fit the workflow of a busy tattoo artist, with just enough fundamental background to provide the skills to create professional looking flash and other design work in that classic watercolor look. Myke has become well known for his large scale traditional work and feels that his experience with watercolor has helped pave the way for a stronger understanding of design. 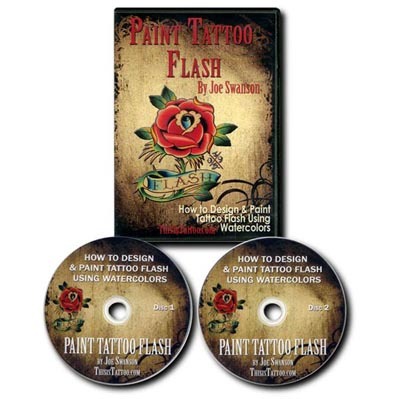 We also are carrying Joe Swanson's Paint Tattoo Flash DVD, which takes these same skills and directs them into creating classic looking pages of flash, including methods for making antique paper and other handy tricks. Both of these DVDs are very helpful and highly recommended for anyone with an interest in classic tattoo design. Available now at the Tattoo Education online store.